April is upon us already and Scalefour North is just round the corner which means a new round of Rumney Models releases. Due to other demands on my time there is a smaller than usual number of them. 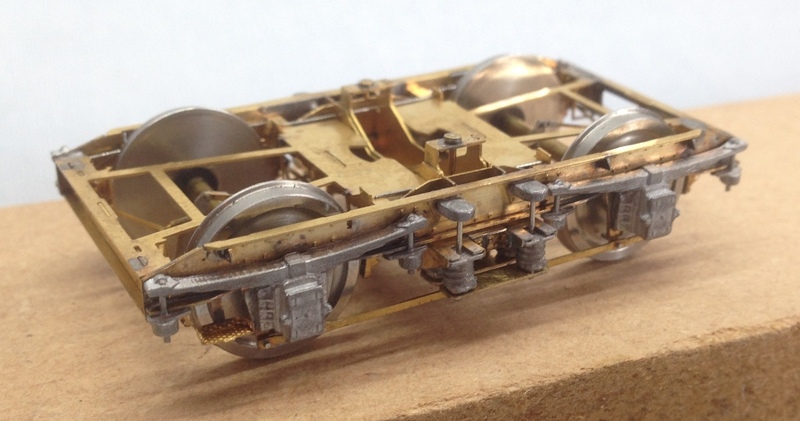 First up is a detailing fret for 10’ Morton brake wagons (B.114 – £4.50). This was done by request and is intended to upgrade Bachmann and Parkside, etc wagons. The fret includes both GWR and RCH brake lever guards along with brake levers, new vees, open wagon door springs (two types), solebar and headstock detailing, lamp irons, coupling hooks and Instanter links. There are sufficient parts for 2 wagons. Spring and axlebox castings are now available for GWR and LMS milk tanks. These are for milk tanks fitted with oil journals rather than roller bearings. The GWR type is available with either BR or RCH 2 part axleboxes. Note that this variation applies to the outer axles only, the centre axles on all GWR milk tanks fitted with oil journals were an RCH type. All are £5 for a set of 6 and include and etch for the riveted axlebox guide fitted to the outer two axles. For more information and product codes see the Milk Tank Plates and Castings page. A couple of items that were previously withdrawn have been reinstated. 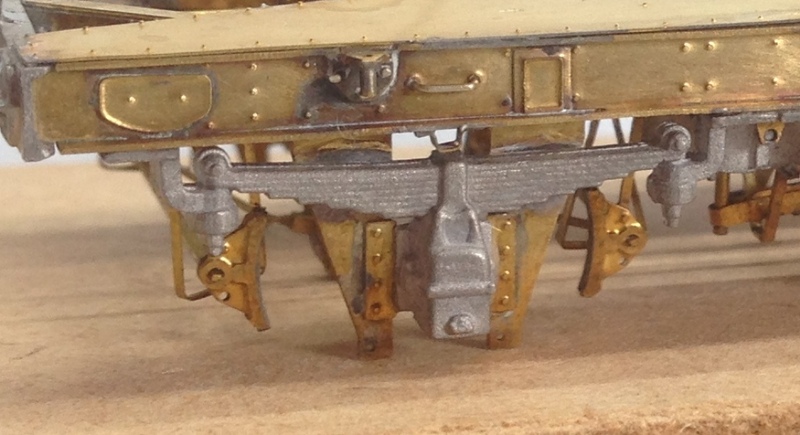 LNER steel open stanchions and detailing (B.101 – £3) and the Ratio LMS van strapping and detailing (B.105 – £1). Both of these items will remain in the catalogue until current stock levels are exhausted. Further details can be found on the Wagon Detailing page. Please note that I will not be supplying these kits mail order, they are ONLY available from Rumney Models at the exhibitions I’m attending. All mail order and general product enquiries should be directed to Mark and you should visit the Miscellany Models website for contact details and further information on the kits. And finally a quick mention of a couple of items that will see the light of day in the autumn round of releases. Work on the complete BR Mk1 bogie kit has been completed; samples for the castings approved and the production mould ordered, leaving just the instructions left to write. They won’t be of any use to those who need rakes of the things (likely cost and the amount of time needed to build them would count against that) but if you only need a few and want a fully sprung bogie that isn’t too wide and looks the part then they may be of interest. Also scheduled for release is a sprung subframe for 8’6” Gresley coach bogies. I have yet to determine prices for both of these items. I look forward to seeing some of you in Wakefield.